My friend Joe Pulizzi today releases a new book on the evolution of content and marketing. 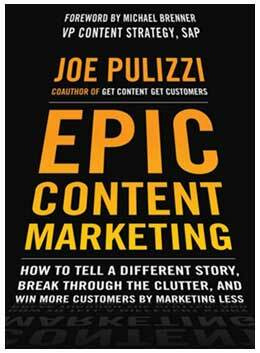 Joe is the founder of the Content Marketing Institute, and his new book is called Epic Content Marketing: How to Tell a Different Story, Break through the Clutter, and Win More Customers by Marketing Less. To me what's most significant about it is what's not in it, as much as what is in it. You know how the first few chapters of a book so often always spill a lot of ink setting up the main point of the book itself—you know, the one you've already bought? Anyway, you don't have to worry about that in this case. That's because the notion of content at the heart of marketing has evolved. Many marketers these days already have corporate buy-in for content marketing. They have resources and budget. They know they need to tell their story to connect with customers. Or, at the very least, marketers know they have to get there. Of course, content marketing is still hard. It still requires a new way of thinking, new skills, and new processes. Or, as Joe says below, "Content marketing is still the oldest marketing discipline still in early adoption phase." We're riding in an elevator. 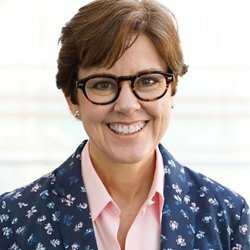 Give me the we-only-have-a-few-floors value prop: What problem does Epic Content Marketing solve?